Samsung is launching its Galaxy-A line of smartphones quickly and swiftly to capture the markets in the developing countries including India. The company has already launched the Galaxy A10, Galaxy A30 and Galaxy A50 smartphones in India and the new Galaxy A20 will be the newest member of the family, priced at Rs 12,490. The Samsung Galaxy A20 is slotted between the Galaxy A10 and A30 and comes with a 6.4-inch HD+ (720×1560 pixels) Super AMOLED infinity V-display. As far as specifications are concerned, the phone is powered by the octa-core Exynos 7884 SoC, which has two high power cores clocked at 1.6GHz and six efficiency cores with a clock speed of 1.35GHz. The phone comes with 3GB of RAM and 32GB of storage option, which can be further expanded via a microSD card (up to 512GB). The Samsung Galaxy A20 runs on Android 9 Pie with the company’s One UI on top. In terms of optics, Samsung Galaxy A20 comes with a dual rear camera setup with a 13 MP primary sensor and 5 MP secondary sensor. There is also a 5 MP selfie sensor with an f/2.0 lens. The Samsung Galaxy A20 has a huge 4,000 mAh battery that would easily last you a complete day. There is also a rear-mounted fingerprint sensor and support for Samsung Pay. The smartphone also features a “3D Glasstic” build and measures at 158.4×74.7×7.8 mm. 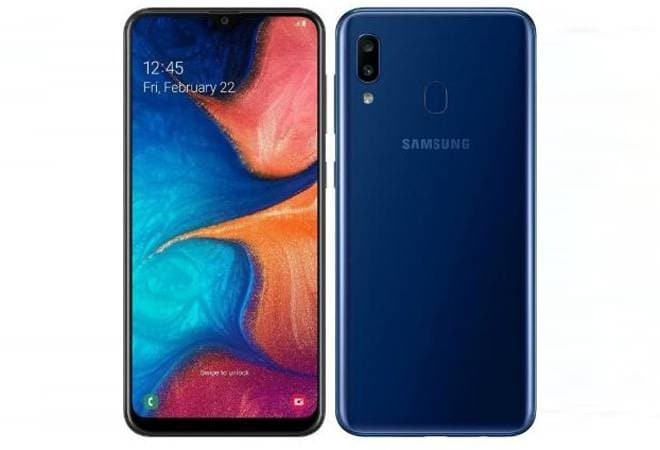 Samsung has said that it would start selling the Galaxy A20 in India from April 10 via Samsung Online Shop, Samsung Opera House, and other major online retailers. The phone was first launched in Russia last month.